There are so many people in this world. Each people live in their own world. Each one is the whole world. We try to find someone who will join our world in this life or someone whom world you would like to join. Different types of people and different worlds. When someone finally finds a girlfriend or boyfriend sometimes they say: “You are my world”. It means they find someone whom world they join. Interesting. Let’s try to understand types of people and “types of the world”. There are people who love party a lot. Who has so a lot of energy that they want to do every day something? They need to go out for dinner, meet friends, for the movie and on the weekends they need make some party. You will say that it is the lifestyle of single girl/guy but you know what? It is not true. Even they find boyfriends and girlfriends they find it with the same thinking. Even they are together they go out very often, make parties at home with friends. Mostly that kind of people likes to show up their relationships. Share it on facebook, twitter, Instagram how happy they are being together. Also mostly they like to dress up in brand clothes. Show up other people how “cool” they are. Is it something bad? No, I don’t think so. They are just this type of people. This type of people also follows stereotypes and I would put them in the category of not a lot of educated persons. Who cares about that? No one, if they are happy in their life. Believe me, most of them are really happy with that kind of lifestyle. This type of people loves enjoy time at home. Sleep well, watch some moves at home because why need to go to the cinema if you can watch any movie at home. Mostly that kind of people searching for girl/guy who would also love to enjoy time at home. Who would love cook at home, have a nice romantic dinner at home. This type of people also mostly want to make a family and just be family girl/guy. There is nothing bad about it also if they are happy with that. This type of people also doesn’t show their relationships on facebook, twitter or Instagram. Also, I believe that this type of people cant stay a long time alone. They always need someone. If the relationship ends they need find very fast next one. They just don’t know how to enjoy time alone and if they use that someone takes care of him/her they want to find next one as fast as they can. Also if she/he use to take care of someone they also want find next one. For me, that kind of people is little boring. I heard a lot of stories when a girl just finds next guy with whom to live together but don’t love him. Don’t love him but are trying to make relationships with nothing. Also, there is a lot of good stories. I believe you use to live and enjoy time with yourself alone and then you can give your love to other. This kind of people just doesn’t know in life yet want they want. They party a lot, drink a lot but saying to everyone that want serious relationships. Live party people life but want serious, grown-up people lives. 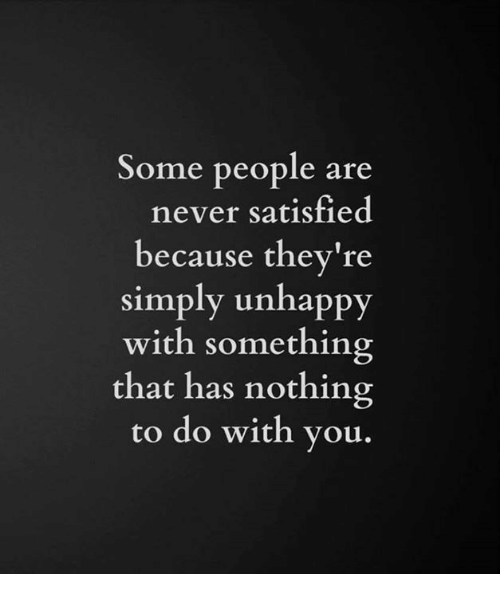 I believe this type of people is most unhappy. They try to show the world that they are happy. Go to parties, or show how many friends they have but in reality, they are unhappy because they don’t have no one close friend and also doesn’t have a relationship. They also deep inside understand that they have so many friends because of he/she always party. He/she always drinking and people love him/her when they are drunk. From one side they understand that and from another hand, they don’t know how to stop it. This type of people doesn’t have priority in life to have a family. This type of people chooses to make carrier=make money. If the carrier is successful and going up – good. Everything is going good but you know what is the biggest reality and disappointment? A lot of people didn’t become successfully fast, didn’t became successful at all. They end up in their 35 years and understand that they work and work and still they don’t have nothing. Work was in the first place all them lives but they still in 35 years are not successful. 35 years and they don’t have a family, they don’t have friends a lot, because they didn’t party a lot or go somewhere out to socialize, they don’t have a good job with good salary and they still don’t have their own apartment/car. These people are most unhappy. Mostly they also look not so good because they don’t care.I think this is people who hate everyone. I also can understand that. Also, there are a lot of people who are hard workers and get a success in life and in the 35 years start to enjoy life even they are single and sometimes people became jealous of them. I believe that great balance of life is to have a little bit of all of this types, except, 3th one 🙂 I have a little bit of everything of it. One day I think I am home people, another day I am party people and third day I am thinking that I am never satisfied, annoying girl who is complaining about everything in this world. Funny but it is true. I actually hate that kind of people, but there are some periods of life when I complain, complain and complain. Maybe it is an effect of “red days” 😀 In that days my mood is always so sensitive.